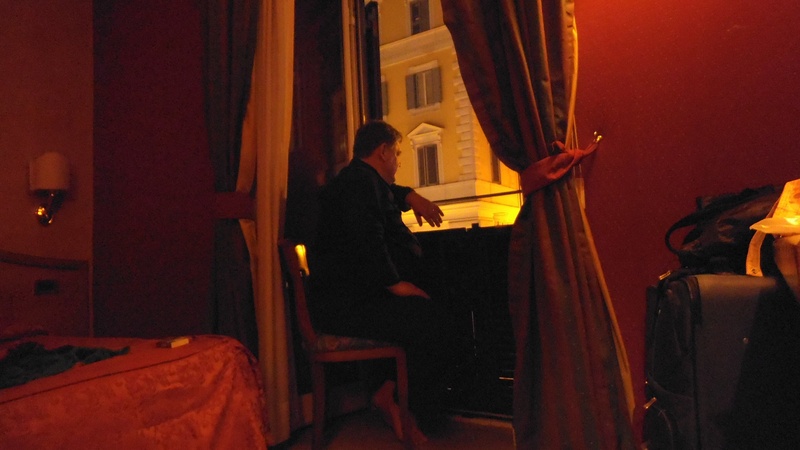 Before booking our flights and hotel in June 2012, Frank and I spent many hours online pricing the hotels in Rome. Understand that we had decided to travel to Rome the last week of November and first week of December because it was so much cheaper than travelling at any other time of the year. We were saving about thirty percent than had we travelled in October. We knew that there would be times we would have to cab it, but we wanted to be able to walk to the Trevi Fountain, Pantheon, Colliseum, and the Forum. The Vatican, Castel Sant Angelo and the bus station were about an hours walk, so we considered the 10 euros it would cost for a cab ride to to the venues above to be a good investment. There was one other thing to consider when choosing a hotel as well. 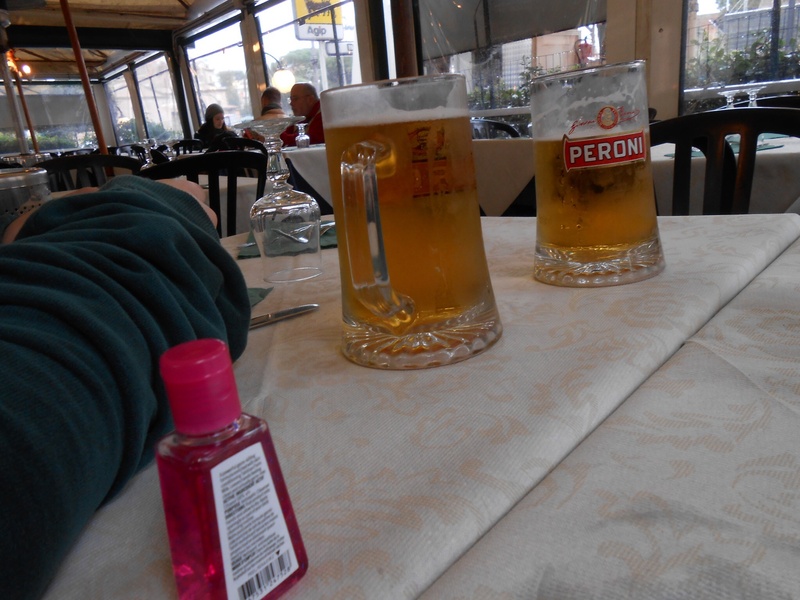 For instance, it was a high priority to have restaurants within easy walking distance. 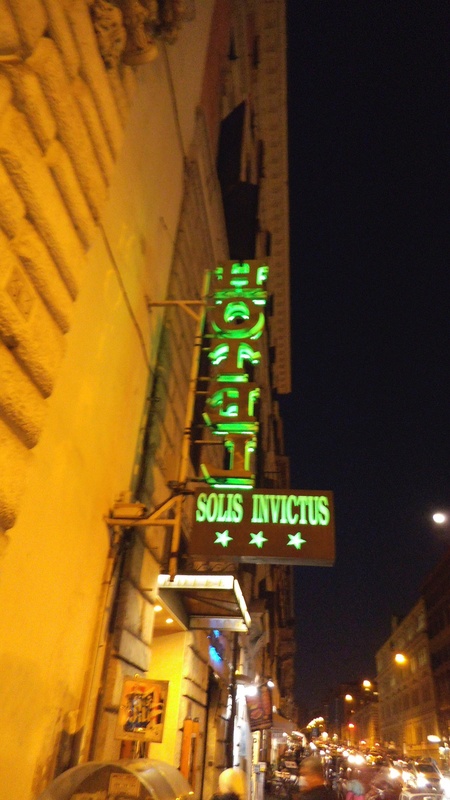 Eventually, we agreed to stay at the Hotel Solis located on Via Cavour. I was delighted with the choice. We were already familiar with the area from our previous trip. The hotel was across the street from one of our favourite restaurants, and virtually around the corner from the Colliseum, which was about a five minute walk away. On our previous trip we had stayed at the Bolivar, which looking back was a much smaller room than we had anticipated. What I liked the most about the Bolivar however was that the breakfast dining room on the top floor had a sweeping ariel view of church domes and various other ancient buildings. I knew in advance that the Solis would have no such view, but with any luck I was hoping that I would discover other redeeming features of this yet unseen hotel. And of course we did. 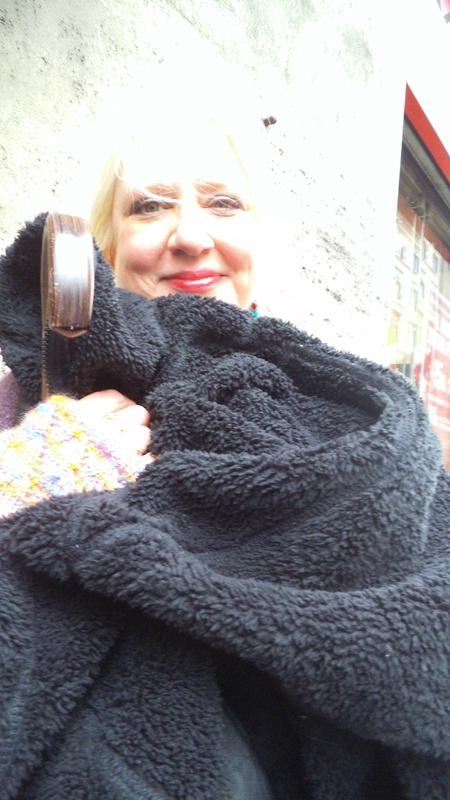 It was all I could do not to gush as we walked into the hotel with our baggage in tow. Indeed, even as the door leading to our hotel room opened it was very hard to keep calm in spite of being awake for over thirty hours. 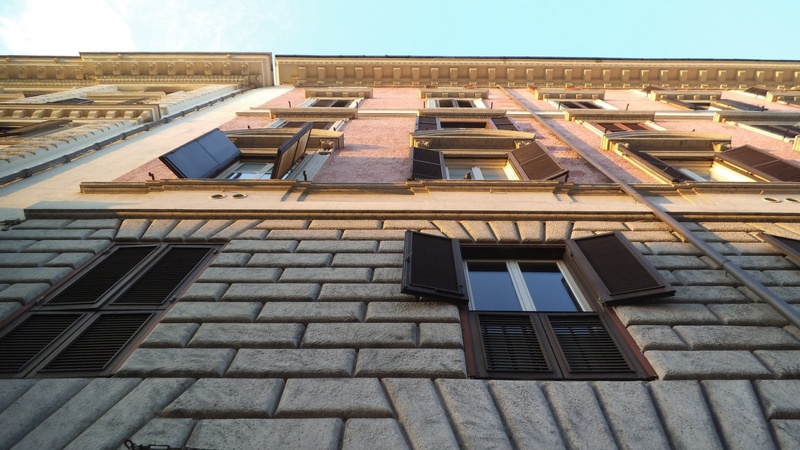 Yes, a balcony, with shutters that opened up to an exquisite view of Via Cavore from two stories up.